Combine the jalapeños, cilantro, garlic and pine nuts in a food processor and process until smooth. With the motor running, slowly pour in the oil and blend until emulsified. Season to taste with salt and pepper. Brush shrimp w/ olive oil, salt and pepper, & fry in non-stick skillet just until pink. Sauté the sweet onion slices until softened. Mix onions, corn, cheeses and thyme. Divide evenly to top 8 tortillas. Stack one on top of another and top with remaining 4 tortillas. 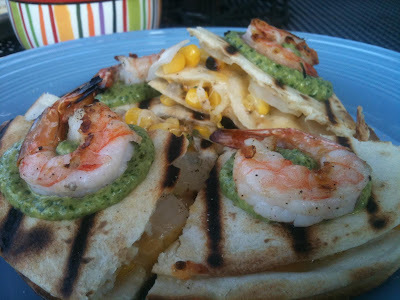 Grill both sides in hot non-stick skillet until cheeses are melted & tortillas are browned and crisp. 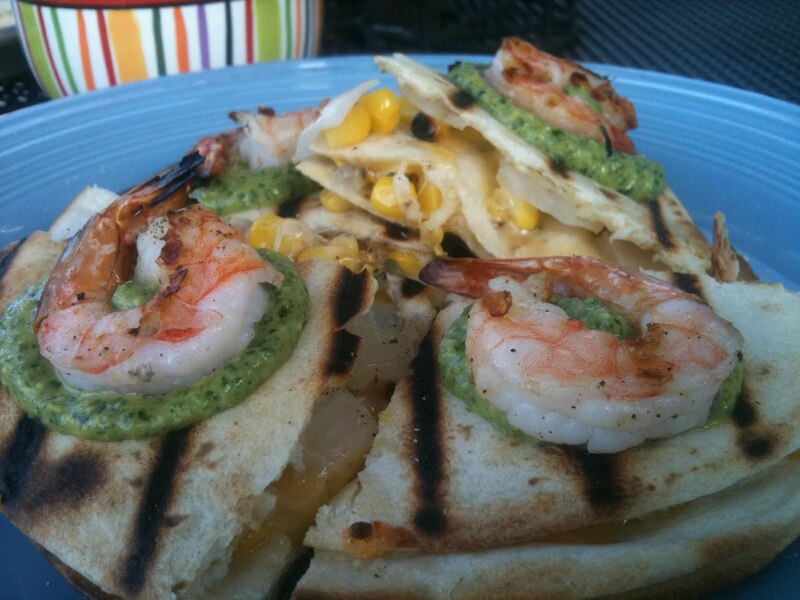 Top each quarter with 1 T. jalapeno pesto and a grilled shrimp. A Bobby Flay recipe.